Tiffany and Graham’s love story has taken them from coast to coast across the U.S and even as far as Florence, Italy. 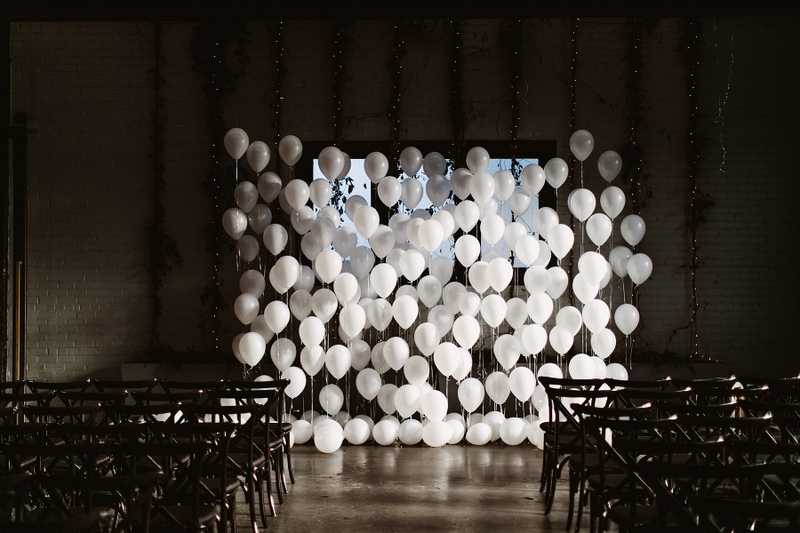 So picking a city for their wedding (much less a specific venue) proved to be a little tricky. 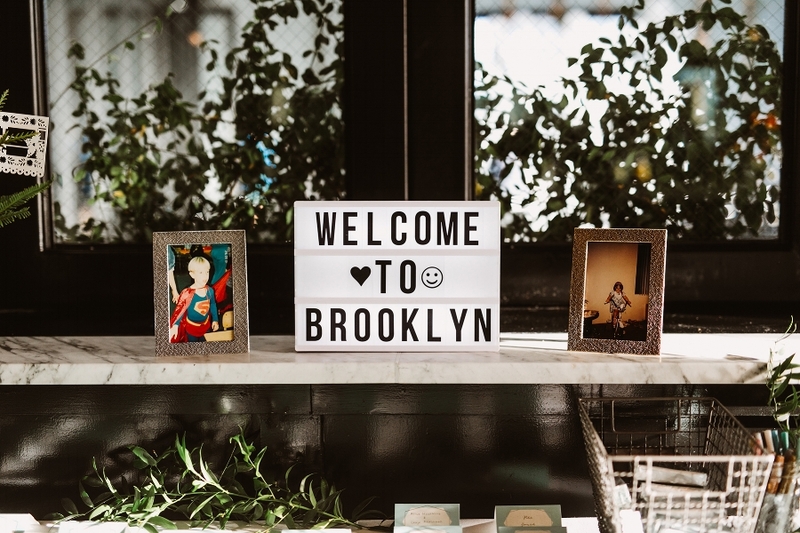 But finding themselves in New York City while Tiffany was in grad school, the pair decided to tie the knot in Brooklyn, with 501 Union as their backdrop. 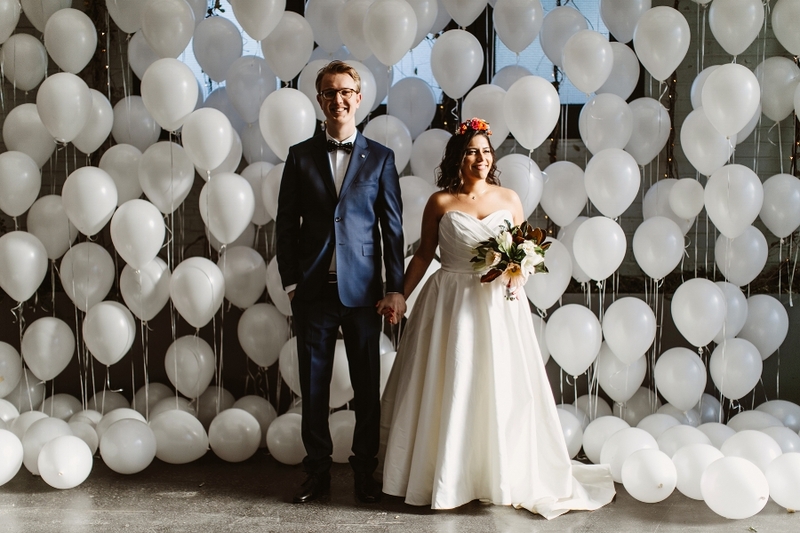 The couple’s personality was shining through every element of their celebration, and they really made the day their own. 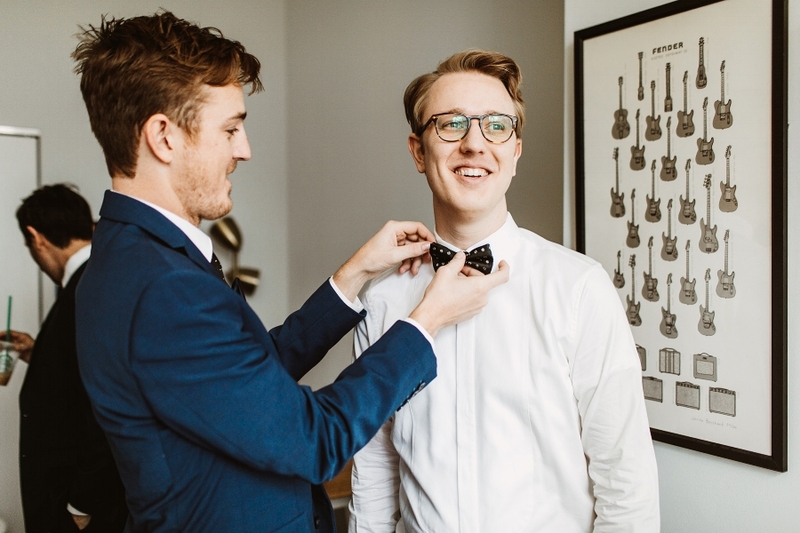 Not only was their venue beautiful, but their attention to the small details helped to make this wedding such a fun one to plan and fortunately Pat Furey was there to capture every moment. The celebration started with the couple’s first look and family photos - allowing them time to enjoy their cocktail hour later in the day. 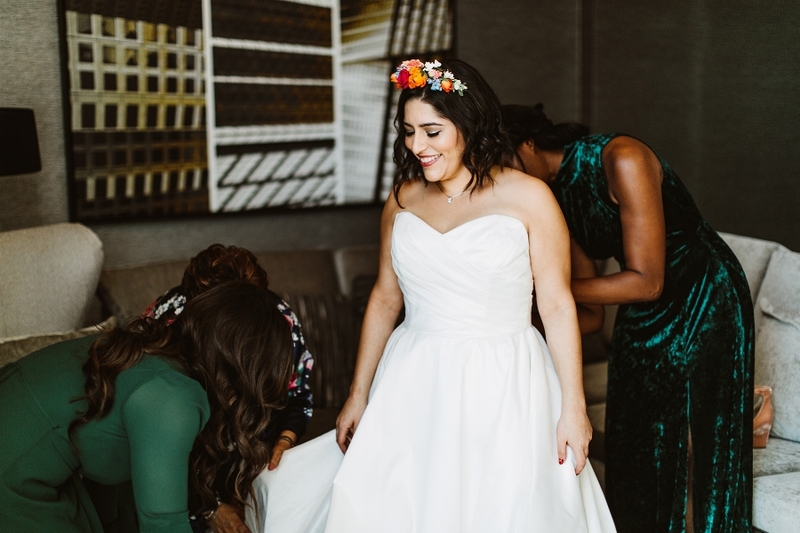 The bride’s classic Michelle Roth wedding dress was accented with a soft pink velvet heeled shoe, simple gold jewelry passed down from family - something old, and a Frida Kahlo-inspired flower headpiece (by Wyld). Tiffany’s look was completed with the final touch of a Veda cropped leather jacket, which became the core part of the ensemble. The groom’s look was simple, yet chic. Graham was outfitted in a bright blue suit, crisp white shirt, bow tie, and navy coat jacket - all by Ted Baker. The wedding party all had the opportunity to bring their own personality into their ensembles for the day. Tiffany’s bridesmaids all chose their own dresses within a range of green colors that the couple liked. 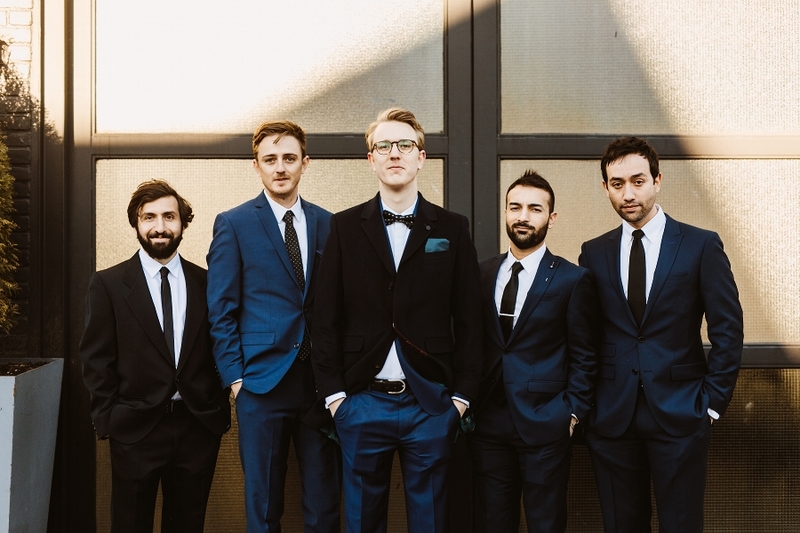 Each groomsmen also chose their own navy blue suits, along with black ties and shoes. The mix of forest green and navy colors were beautiful for photographing against the backdrop of a winter day in Brooklyn. 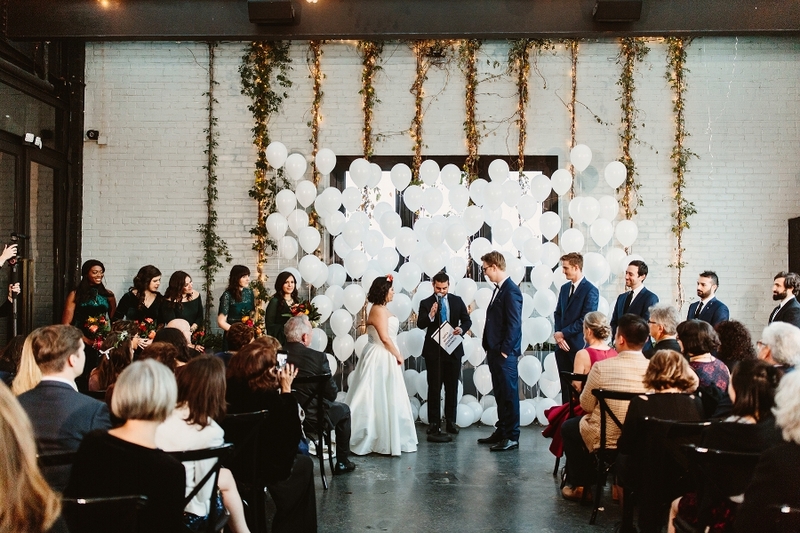 After exchanging vows in front of a white balloon backdrop, provided by Michelle Edgemont Design, the couple marched down the aisle as Mr. and Mrs. to live music by The Ladybugs. 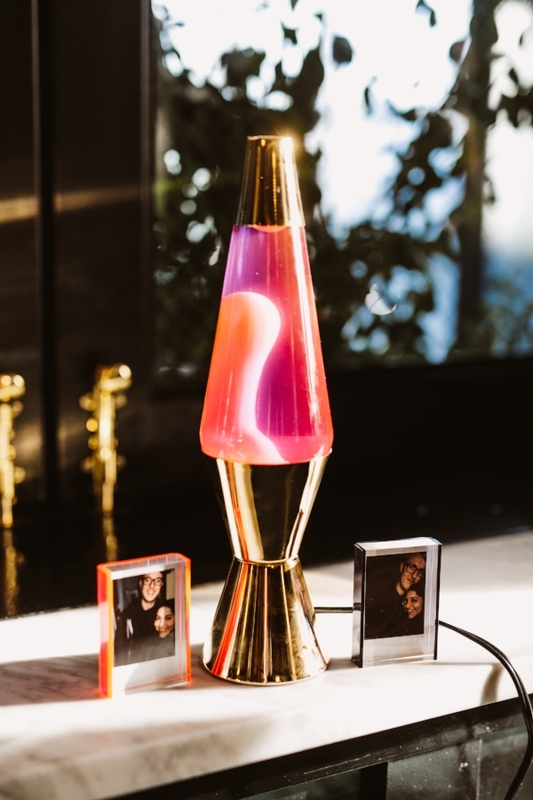 As guests entered the reception area, they were greeted by a pair of lava lamps - signaling that it was time to get the party started! 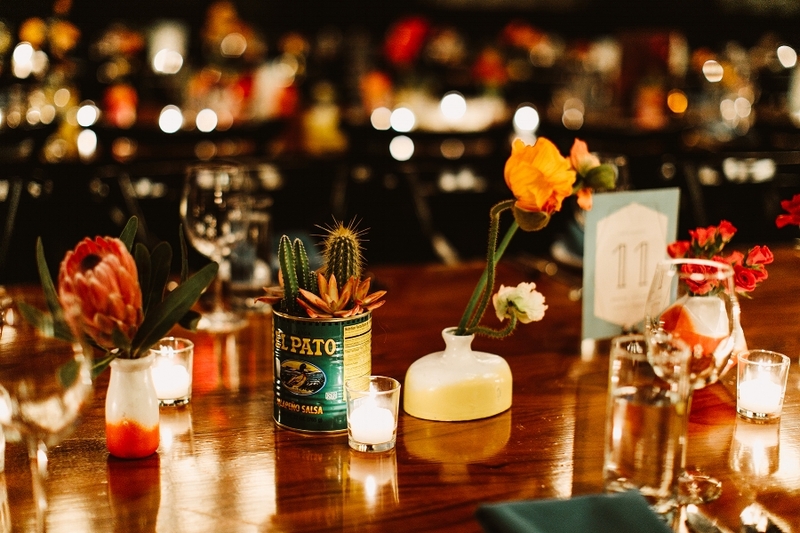 The dinner tables were decorated with empty El Pato sauce cans - as a nod to Southern California - which were filled with succulents. 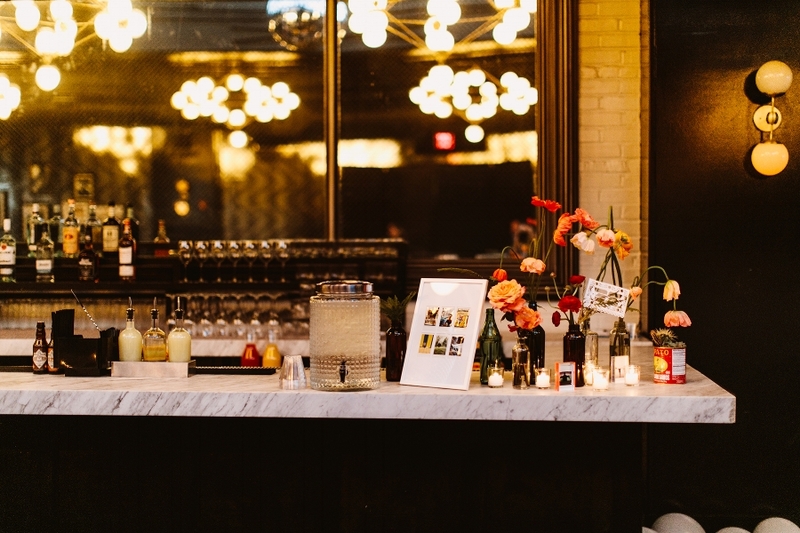 Each table was decorated with a vinyl record of albums that were made in New York, including The Notorious B.I.G.’s Ready to Die and Beyonce’s self-titled album. 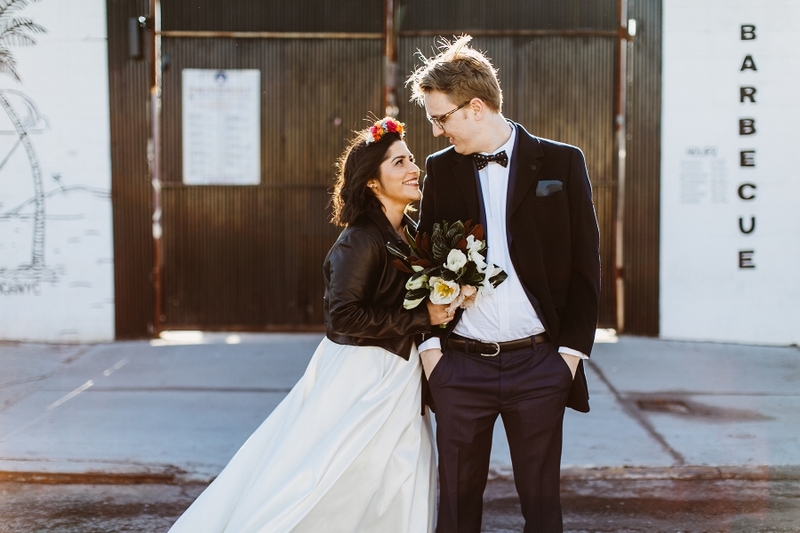 To incorporate in their Los Angeles roots, Tiffany and Graham had a taco truck provide a variety of taco options for guests, all served on homemade tortillas a side of rice and beans, salad and chips and guacamole at each table. The couple’s two tier Milk Bar wedding cake was topped with a Marge and Homer Simpson piece that was a part of Graham’s childhood chess set. The couple and their guests danced the rest of the night away to DJ James Mulry and even passed out glow sticks on the dance floor to keep the party going. What I loved the most about Tiffany and Graham's wedding was the amazing energy that was present among the couple, their family and their friends and also how Tiffany and Graham made their wedding day so quintessentially personal and their own.